Ida Barbarigo was born in Venice in 1925. Her mother was an artist and poet, whilst her father was the painter Guido Cadorin. Ida would continue the humanist traditions of a family which had produced many sculptors, architects, painters and scholars over the centuries. Whilst very young she studied architecture with her uncle Brenno del Giudice, subsequently abandoning the subject to dedicate herself entirely to painting. She would participate in various exhibitions held in Venice, including the shows organised by the Fondazione Bevilacqua la Masa. In 1942 one of her pictures was selected for a competition of young artists at the Venice Biennale. From 1942 to 1946 she would attend courses at the Venice Accademia di Belle Arti, of which her father was then Principal. The works of this period already contain the themes Barbarigo would explore in the future: chairs and the unexpected architectural compositions they form within the city; individuals seated in empty spaces, creating the sole modern monuments in an ancient Venice. She frequents artists such as De Chirico, Bontempelli and de Pisis. Travelling widely in post-war Europe, she visited Switzerland and France in particular. The experience would have a powerful effects upon the young artist’s self-awareness; she would declare that she wanted to “unlearn painting” in order to find her own individual being and express her personal sensations. In 1949 she married Zoran Music and began to divide her time between Paris and Venice. She would take part in the Salon de Mai for the first time in 1955; later she would participate in that event in 1956, 1961, 1966, 1972 and 1980. 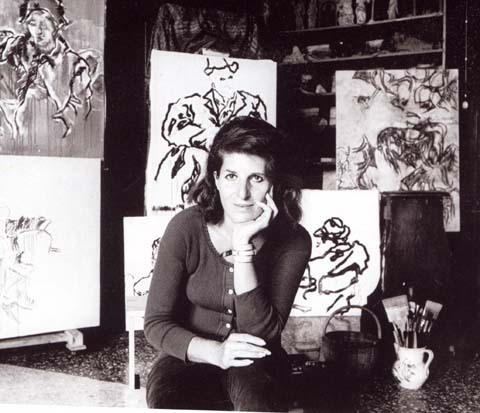 Her major exhibitions include a joint show at the Paris Galerie de France in 1956, a one-woman show at the New York Galleria Saletti in 1959 and an extensive one-woman show at the Fiume Galleria d’Arte Moderna in 1960 (an exhibition that would also move to Lubiana and Zagreb in 1961). In 1968 she was one of the award-winners at the Menton Biennale, and the following year would begin exhibiting at the Grosvenor Gallery in London; in 1971 she would hold a one-woman show there. In 1970 Renè de Solier’s study of her work Sedie e Guardoni (Alfieri, Venice, 1970) was published. 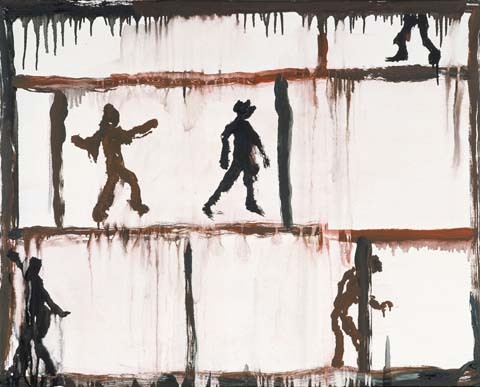 In 1972 a retrospective of her work was held at the Musée de l’Art Moderne de la Ville de Paris. That same year Jacques Lassaigne book Barbarigo was published («Le Musée de Poche», Paris, 1972). 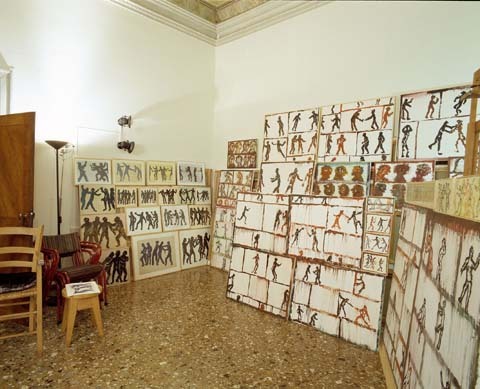 In 1978 she took part in the Venice Biennale. In 1980 Giuseppe Mazzariol’s Fiori e persecutori di Ida Barbarigo was published (Patti Birch Publishers, New York, 1980). In 1982 she took part in an exhibition organised by the Haus der Kunst in Munich. Between 1991 and 1994 she was involved in work on two one-woman shows in Geneva and Paris. In 1995 she would again figure in the Venice Biennale. 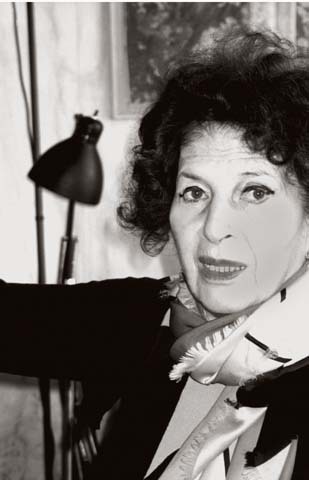 Between 1996 and 2000 she held one-woman shows in Venice, Cortina d’Ampezzo, Neuchatel, Bologna and Bilbao. 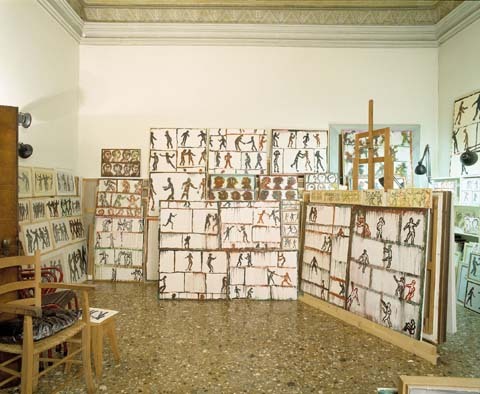 In 2002 her work was exhibited at the Museo Civico di Palazzo Te in Mantua and in 2004 at the Institute of Modern Art in Valencia. Ida Barbarigo lives and works in Paris and Venice.